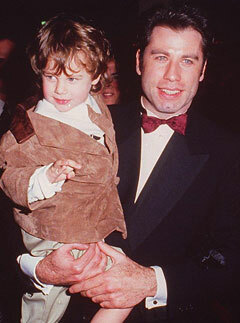 John Travolta has spoken out for the first time since his 16-year-old son’s death on Friday. Jett Travolta, son of John and his wife Kelly Preston, passed away on a family holiday in the Bahamas after suffering a seizure at the Old Bahama Bay Hotel, said a lawyer for the family, Michael Ossi. The teen hit his head on a bathtub and was declared dead at Rand Memorial Hospital, police spokeswoman Loretta Mackey told the Associated Press. The family’s lawyer, Mike Ossi, also told how Travolta tried in vain for 20 minutes to save his son’s life, saying: ‘He didn’t want anything to happen to that boy, and he kept on trying to revive him. Jett, who is the actor’s only son – the couple also have a daughter, Ella, 8 – had a history of having seizures, and was diagnosed with Kawasaki disease, a condition that can cause inflammation of the arteries. Travolta, 54, thanked fans for their messages of support in an online post on Preston’s website, saying: ‘We have received many messages of condolence from around the world and we want to thank everyone for their prayers and support.